Hey guys, on my Instagram (@lizatripsget) you’ve been asking me a lot about the locations of my photos. So I decided to create a series on my blog, where I would tell you about the best Instagrammable places around the world. 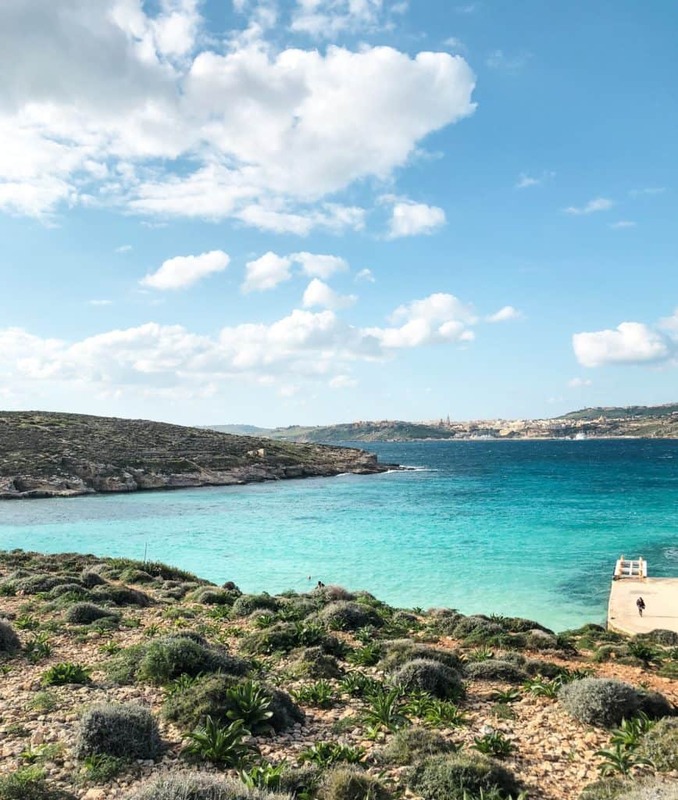 So this is the third post in the series and it’s called Instagram guide to Malta: discover the most photogenic places in Malta, Gozo and Comino, where I will describe you the best Instagrammable places in Malta! Malta is full of beautiful places and is definitely one of the most impressive islands to visit in Europe. There are truly countless photo spots on Malta! In Malta, we stayed in the amazing Corinthia St. George’s Bay and even though it’s a 5* hotel, it wasn’t expensive at all! Check the availability here (in case it isn’t sold out yet). Malta, Gozo and Comino all belong to Malta (yes, Malta consists of 3 islands). If you’re interested to read about my adventures in Malta (including the detailed itinerary for 5 days) – head HERE. 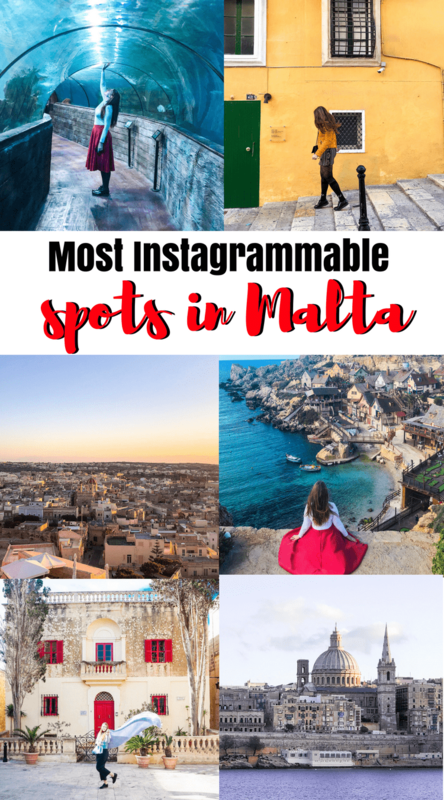 Bonus: there is also a video included, so you can actually see all these beautiful Instagrammable places in Malta yourself. So let’s get started. Popeye Village is actually not a real village. It’s a former film set which was transformed into a tiny amusement park. In order to snap this shot you don’t actually have to pay for the ticket and get inside the park – just turn left at the entrance and walk for 100 meters. 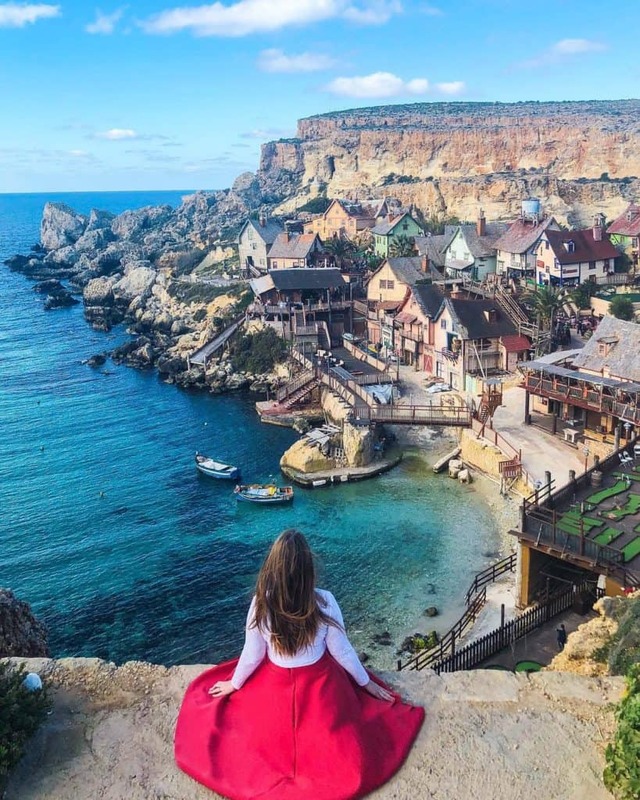 Popeye Village is one of the most beautiful places in Malta and a great spot for taking photos in Malta. 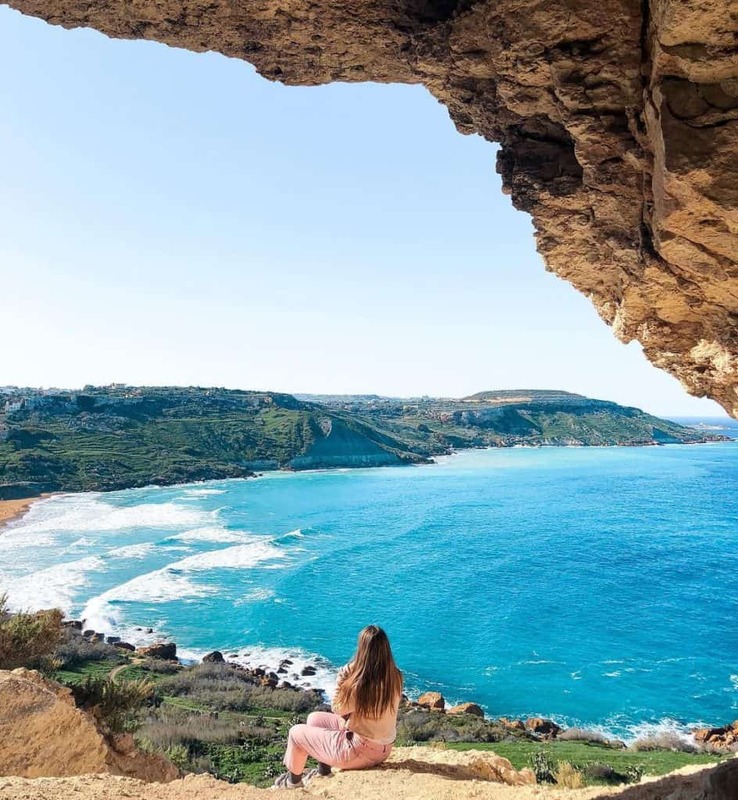 This cave is a hidden gem of Malta. I learned about this location from the local and man, it was so hard to get there! Nonetheless, it was really worth it: just look at the colour of the water! 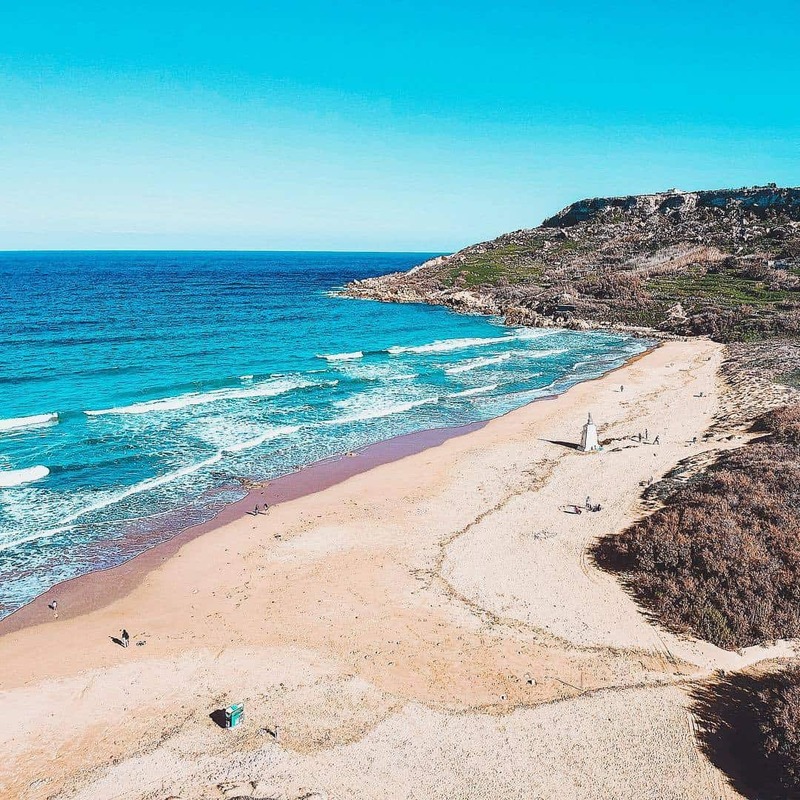 It wasn’t hard to take a photo there either – so if you’re interested in the best photography spots in Malta, definitely add Tal-Mixta in Gozo to your list. The entire city of Valetta is a rare catch for Instagrammers – the Old Town is full of beautiful doors, colourful buildings and amazing spots for taking photos in Malta! Mdina is the first capital of Malta (well, used to be many years ago). Now it’s a city with no cars (almost), that’s why it’s so quiet. Mdina has really beautiful doors as well and the city is tiny, so you won’t get lost. 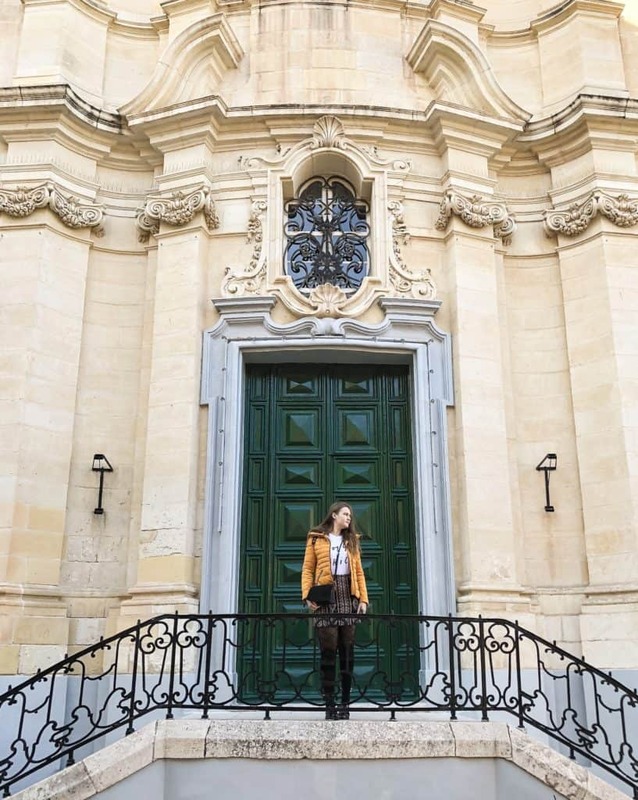 If you’re looking for a location for a photoshoot in Malta, in Mdina, you will find a lot of beautiful photo spots! Even though Malta Aquarium is not the most impressive one in the world, it was still nice to visit it. 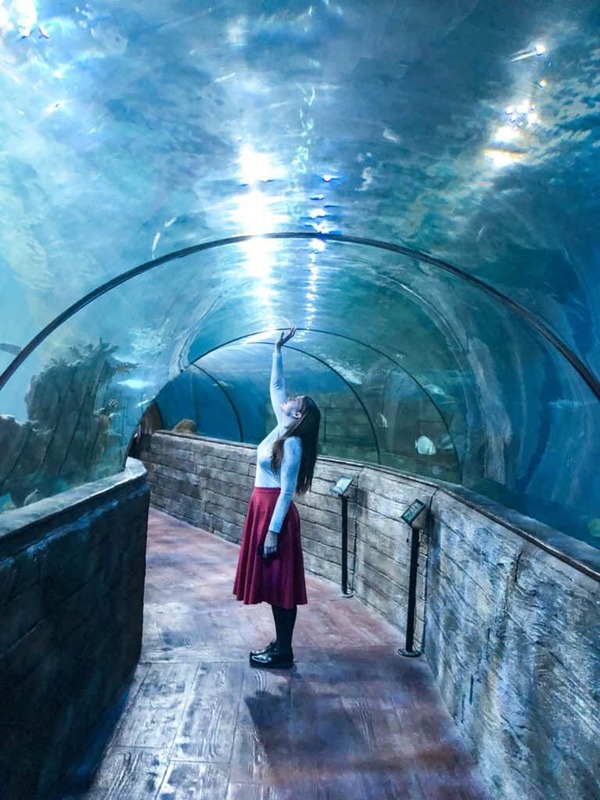 Moreover, I have discovered that Malta Aquarium is the perfect spot for pictures. Who would have guessed? This dreamy sandy beach with turquoise water is located on Gozo island. I actually brought my drone with me and snapped this beautiful photo from there. 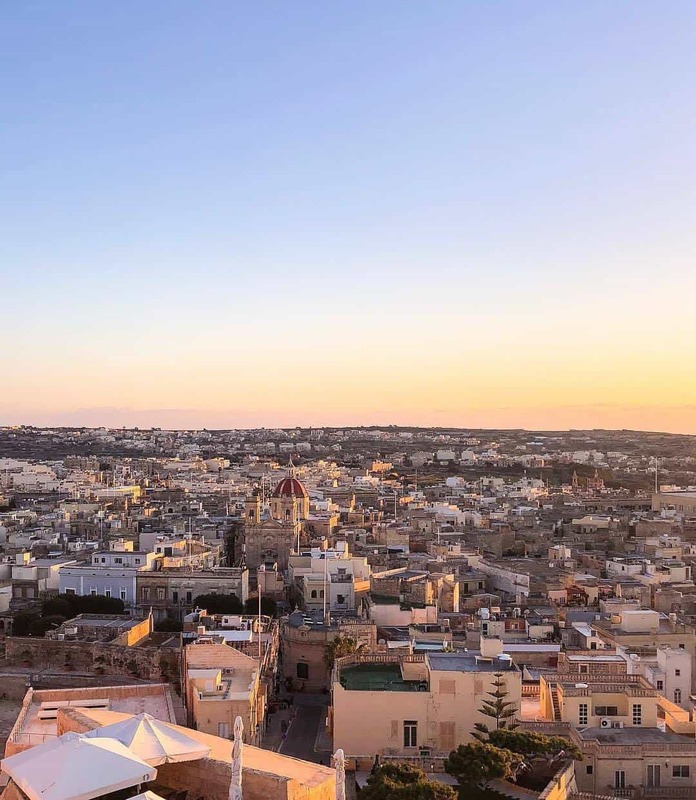 Victoria Citadel in Gozo has absolutely incredible views over the island of Gozo and is especially beautiful during the sunset. Bring your camera with you because you will need it! I haven’t uploaded this photos to Instagram yet, so you have an exclusive preview of it. We were unlucky with the weather, but usually, when it’s sunny, the Blue Lagoon looks just marvellous. In you walk for about 20 minutes to the left, you will see the Crystal lagoon, which, in my opinion, was even more impressive! 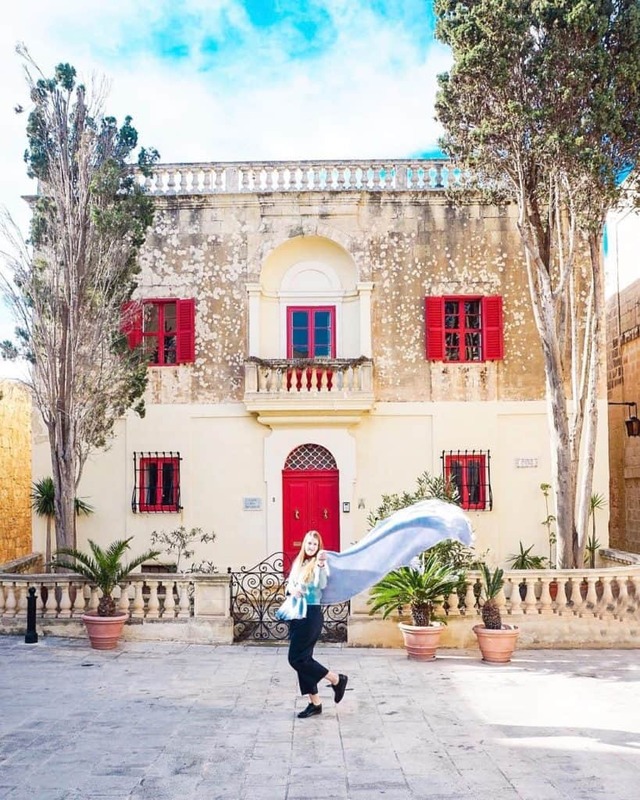 I hope you liked this Instagram guide to Malta (most Instagrammable places in Malta) and would like to visit some (or maybe all) of these Instagrammable spots in Malta. If you liked this post, please share it on Social Media, it would mean a lot to me. And don’t forget to give me a follow on @lizatripsget – you will see my best photos day or two after they were taken!